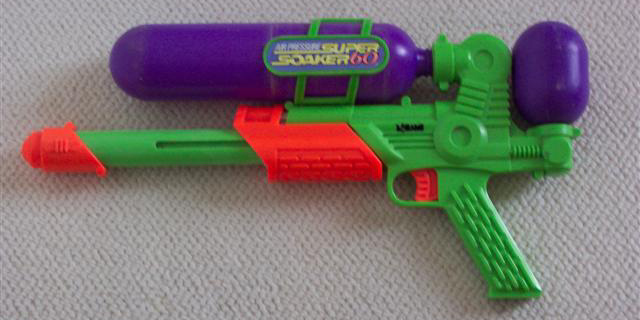 The Super Soaker 60 was released in the later era of classic Super Soakers. This gun was heavily produced by Larami, yet somehow most instances of this "historic" water weapon have disappeared. It has wonderful durability, mine has been around for 10 years and counting, though not in great condition due to various trips to the beach as a small child. As far as power goes, this water weapon could easily out blast anything below an XP 90. My only complaint is the pump. It just doesn't glide smooth, it trips on the plastic of the barrel it's attached to. This is not because of my gun's worn-downness, it has been this way ever since I could remember. 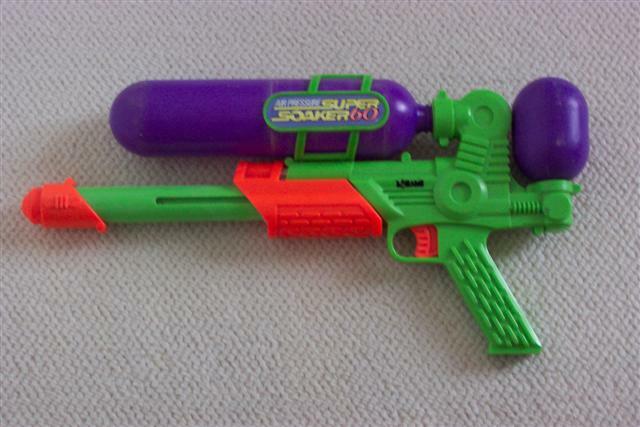 The nozzle of this gun is completely unique to any Super S+oaker ever made, with the exception of derivative guns like the SS-MDS. For an old beast, this thing sure packs a punch with its extra-wide barrel and plentiful reservoir. If you can find it in stores or at a garage sale, pick it up, as it makes an excellent backup weapon.